I just love this party favor idea, and I really love the photo of it! 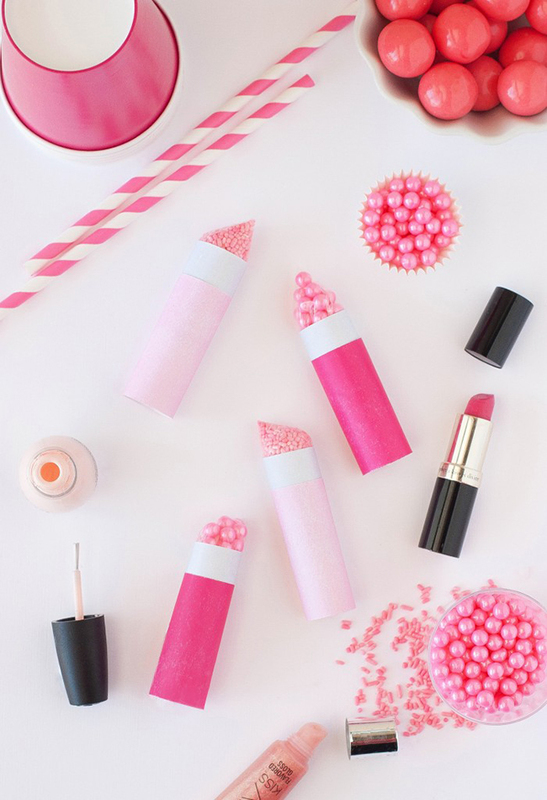 These little lipsticks are actually little bags of sprinkles wrapped in scrapbooking paper. They’re easy to make and just absolutely adorable. I think they’d be great for a spa party, dress-up party, princess party, or even a wedding shower! To learn how to make them, visit Best Friends for Frosting.